In early October, Country Fair Director of Personnel, Steve Seymour, announced that the widely succcessful convenience store chain would be launching an in-store campaign to raise funds for early childhood literacy. The campaign was set to run from Oct. 14 to Nov. 2. In that brief span of time, the charity was able to raise a hefty sum of $50,000 via donations from their loyal customers. Patrons were given the option to purchase a $1, $2, or $5 paper book placard in support of United Way of Erie County's Imagination Library. Upon launching the two week campaign, Seymour stressed the importance of making a community impact in honor of both the United Way's 100th anniversary, and Country Fair's 50th. Seymour went on to emphasize the ever important notion that we foster our children's academic development, and do everything in our power as community members to continue to promote their growth and wellbeing. 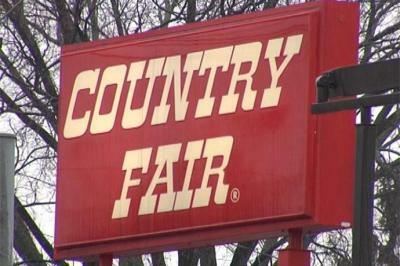 Thursday, Nov. 20, Country Fair is set to present United Way of Erie County with a check for the $50,000 that was raised. Most appropriately, the check will be handed over at the newly opened Imagination Library Nook located in the John F. Kennedy Center. As Erie County continues to struggle with widespread issues of poverty and youth outreach, it is crucial that organizations like the United Way, and local businesses such as Country Fair, initiate charitable campaigns such as this to demonstrate their dedication to our community. So next time you're paying for gas, be on the lookout for your opportunity to pitch in. With the holiday season upon us, and fuel prices hovering around $3 a gallon, it certainly wouldn't hurt to spare a dollar for a good cause.